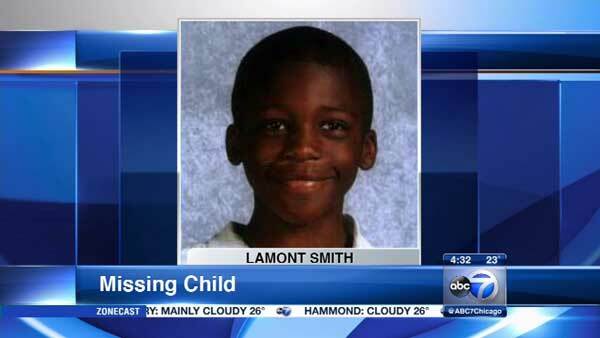 CHICAGO (WLS) -- Police have located Lamont Smith, 11, who went missing from Chicago's Woodlawn neighborhood. Smith was reported missing from his home in the 6700-block of South Rhodes Avenue on Thursday. He has black hair, brown eyes, a dark complexion and a small build. The 11-year-old boy was last seen wearing a white shirt, black jacket, navy blue pants and black boots.